Thursday’s are the new Fridays and this lip lacquer is THE best companion for any party girl. In stark comparison to yesterday’s Kiss, this colour screams ‘MUM! IM GOING OUT OUT’ and subsequently runs out of the house on its platform heels with no jacket on despite the fact it’s minus degrees outside… Sound familiar to anyone? 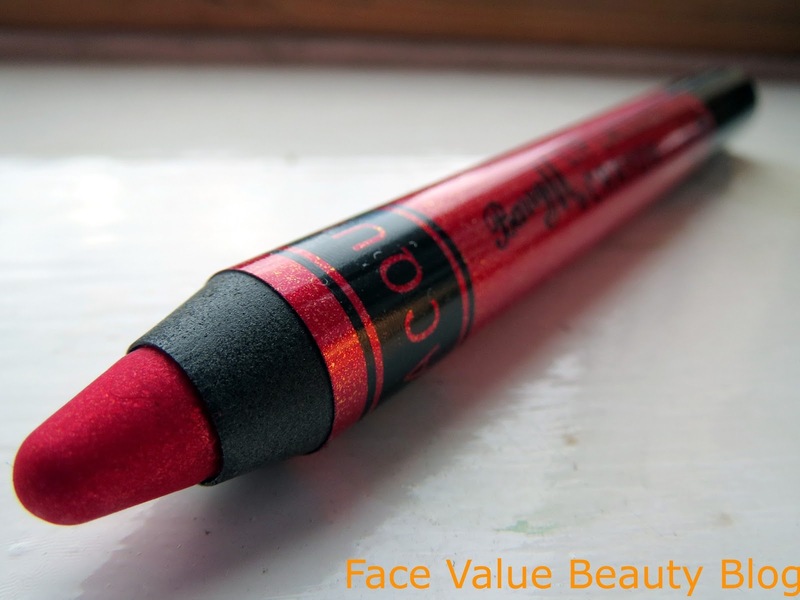 This is the Barry M Lip Lacquer Crayon – one of five intensely glossy crayons in a range of glittery colours. OoooOOooh. Subtley is not the aim here ladies, these crayons are out to SHOCK. AND. AWE. You don’t ‘apply’ this, you wap it on, slick it on, slap it on – BOOM! A bright, glossy and glittery fuchsia, this shade is aptly named Party Pink. Vibrant and unapologetic, it’s certainly not for the subtle beauties who like to keep it looking natural. 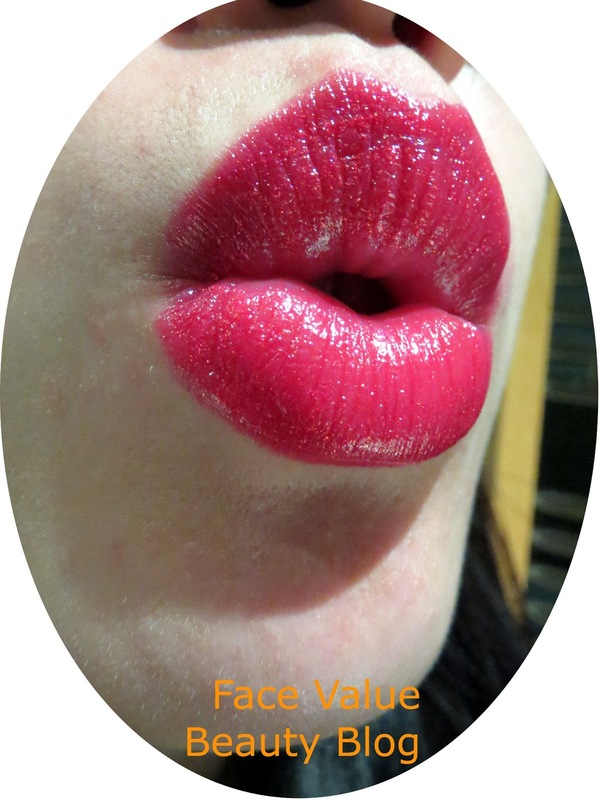 Not quite a gloss, not quite a lipstick – this lip lacquer is what I imagine a glitter volcano would erupt – bold, molten lipstick lava which is an absolute delight to slap on in thick layers across your lips. I really don’t think the pictures do it justice!! THe crayon makes it easy to apply and design your lip shape – be careful though – one slip and you’ve got to use a wet wipe to correct it. This is naaaaht for lipstick virgins or those who are unsure of colour. This is the kind of colour which will take you from day-to-night in one swoop. It’s the equivalent of getting out of your work flats and putting on your spiky heels. Just go easy on the cheeks yeah? Basic contouring under the cheekbones and a bit of smudgy eyeliner is all you need with this lip lacquer. The out-out lips in action! So if Thursdays are your new Fridays – this is certainly a colour to rock tonight. And at only £4.99 (and currently a 3 for 2 at Boots), it’s a purchase you don’t have to think too hard about. Unapologetic in its brazenness, this is proper slap and I LOVE it. What do you think? WOWEE or not for me? 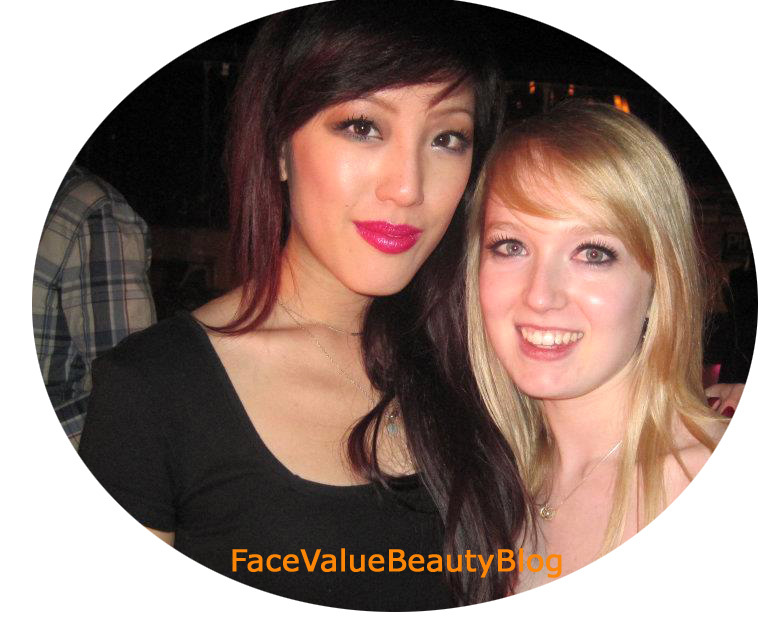 Are you more of a natural beauty? Any natural beauties out there slightly intrigued by this? ps- are thursdays the new fridays?? 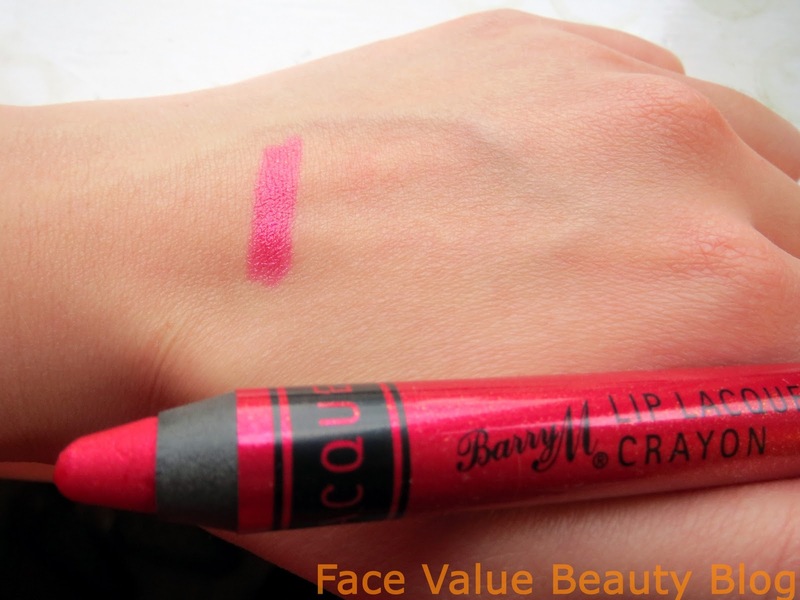 I haven't even noticed these on a Barry M stand but I LOVE bright pinks – I really want to go try it now!